As you can see here, being a dapper dude doesn't require that much effort. 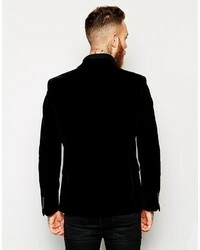 Just choose an Asos brand slim fit blazer in velvet and black jeans and you'll look incredibly stylish. Got bored with this getup? Enter black leather derby shoes to shake things up. This combination of an Asos brand slim fit blazer in velvet and beige chinos is so easy to put together without a second thought, helping you look awesome and ready for anything without spending a ton of time going through your closet. For a casually elegant getup, consider wearing a black velvet blazer and black chinos — these items play perfectly well together. 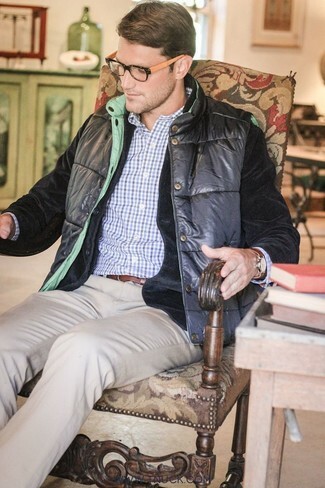 To add more class to your ensemble, complete with black leather chelsea boots. 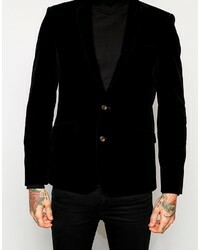 Try teaming an Asos brand slim fit blazer in velvet with grey wool dress pants for a classic and refined silhouette. Make a black velvet blazer and black velvet dress pants your outfit choice if you're aiming for a proper, classic ensemble. 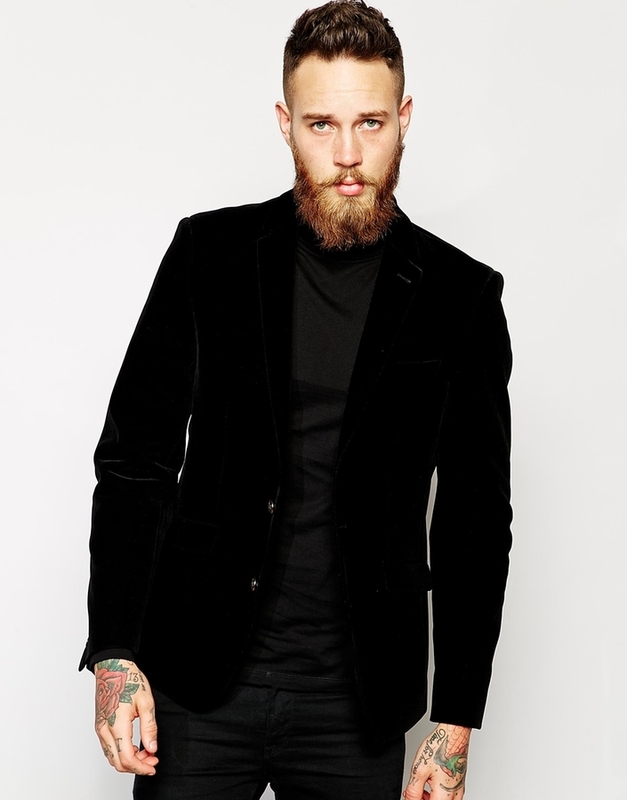 Finish off with a pair of black velvet tassel loafers and the whole ensemble will come together really well. 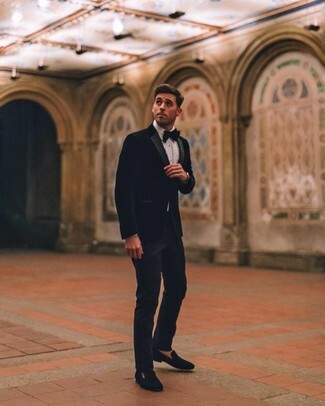 You're looking at the solid proof that a black velvet blazer and navy dress pants look amazing when worn together in an elegant look for a modern dandy. Complete this look with a pair of black velvet loafers and you're all set looking killer.